Welcome to Broken Spoke Yaks. 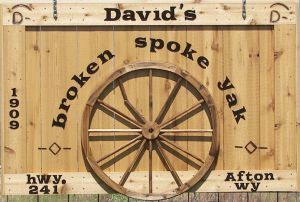 We're a small "boutique" yak breeding and meat company in Star Valley, Wyoming. We have hardy, disease-resistant, breeding stock, which carry the rare golden gene. Why is our yak meat special and better? It's our environment. The high-altitude climate, coupled with the Rocky Mountain water, is perfect for raising tender, flavorful meat. Crisp, clean, above-the-city-smog air and mountain-fresh water gives our yaks a healthier and stress-free life - which gives you better and leaner meat and makes yak meat an affordable, healthy alternative to beef. Yak meat is a unique choice for those interested in an alternative to traditional beef and bison. 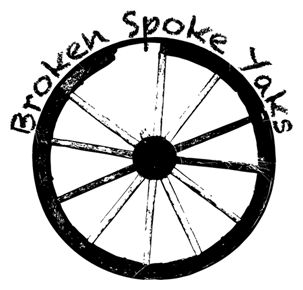 Most yak producers adhere to a free-range, grass-fed regimen that yields a lean and flavorful product. Yak milk is high in butter fat and produces exceptional cheeses, butter, and yogurt. 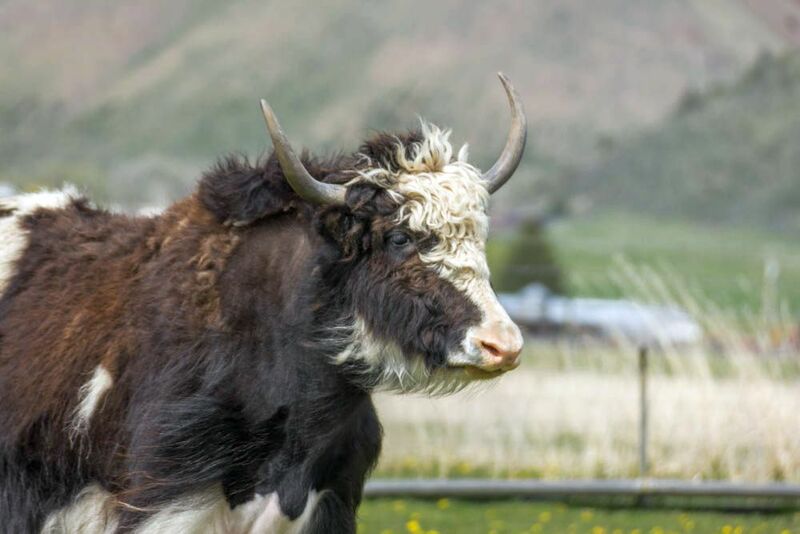 When yaks shed their downy undercoat in the spring, the hair can be combed out, collected, and processed. This soft Yak fiber is comparable to cashmere and angora. The coarser outer hair or ‘guard hair’ is traditionally used to weave ropes, belts, and bags. It is also used for wigs in traditional Japanese theater. Yaks are ‘easy keepers'. They require no special fencing needs. Standard 4-strand barbed wire fence is sufficient. They are cold-hardy and disease-resistant. Birthing comes easily as the calves are relatively small at around 30 lbs. Although yaks do not thrive in hot and humid climates, they can easily tolerate temperate summer conditions if shade trees and fresh water are available. Pound for pound, the stocking rate for yaks is similar than that of commercial cattle at about 2:1. Yaks can fill a “boutique” niche suitable for large or small acreage owners. 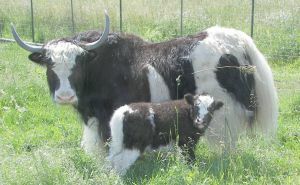 They provide a source of breeding stock, meat, fiber, milk and dairy products, hides, and horns. They make excellent pack and trekking animals. Most of all, their intelligence, agility, and distinct personality, makes them a pleasure to own. We have supplied foundation breeding stock to customers in Wyoming, Idaho, and Utah. We offer these unique and fascinating animals to you at affordable pricing. Please contact us for a tour or any assistance. New this fall! USDA inspected Yak meat will be available. Discount for bulk purchase. Our animals are pasture raised on organic fields. No hormones or antibiotics are used on the animals. We are proud to announce that we have been accepted as a livestock produce on EatWild.com.